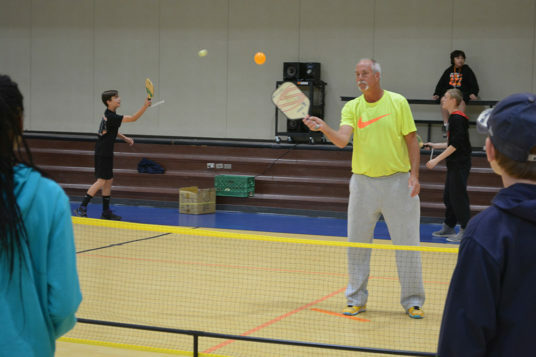 Pickleball aficionados proclaim it to be the fastest growing sport in America, expected to reach 8 million by the end of the year. In Maricopa, it is estimated over 1,000 adults and kids have learned to play. 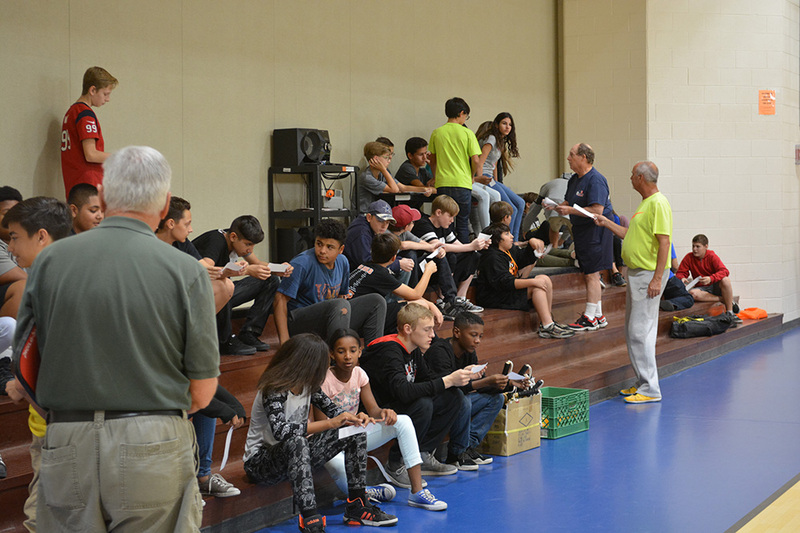 Five days a week, they take over half the gym space at Copper Sky, with players waiting in line for a game. 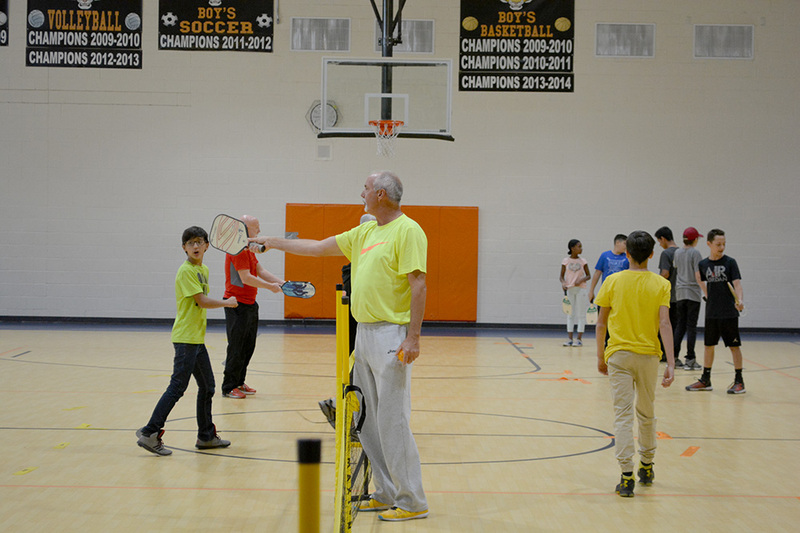 Official pickleball ambassadors Rocky Myers and Will LaHousse have gathered their friends to teach the game at local middle schools. 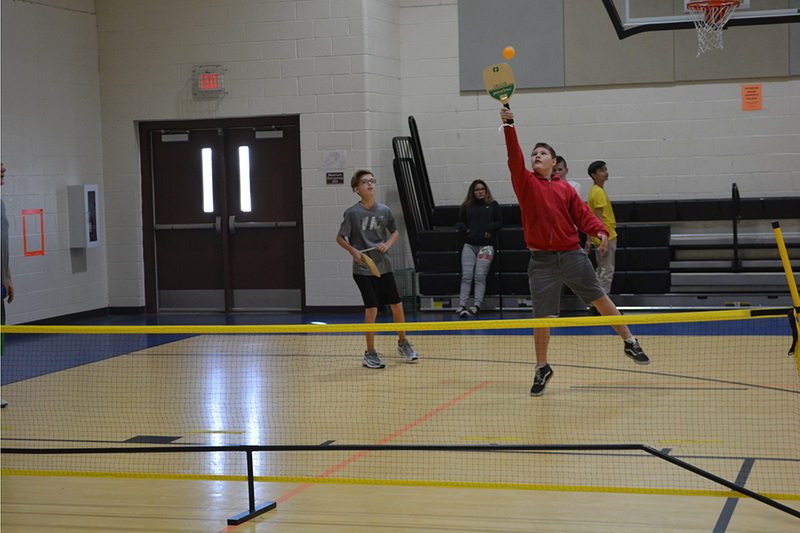 DWMS seventh grader Adrian Caro is a natural at other sports and picked up pickleball pretty quickly. “It’s kinda cool, I guess,” he said. The game is played indoors at Copper Sky Tuesday through Friday from 7 a.m. to 1 p.m. and Sunday from 11 a.m. to 2 p.m. It is played outside on the tennis courts at Pacana Park and Copper Sky and on the nine private pickleball courts at Province. For many months, Myers has been campaigning for outdoor courts dedicated to pickleball at Copper Sky, so residents can play in the evenings and weekends. 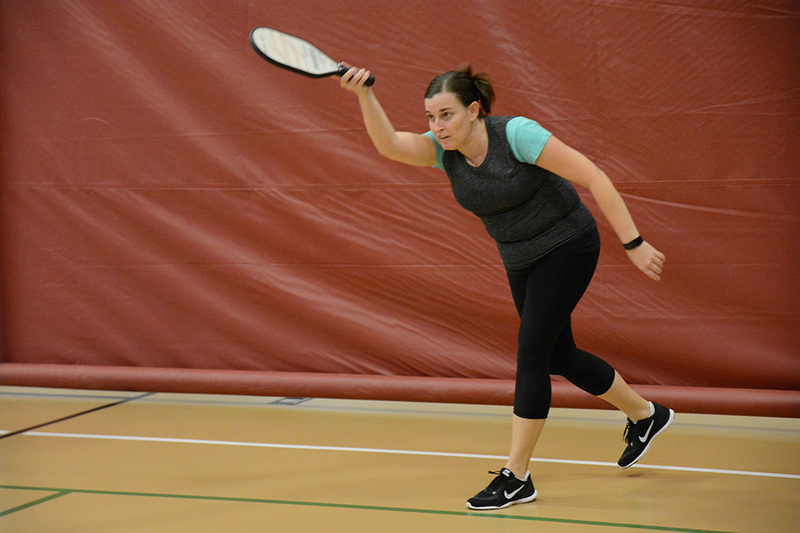 In March, local players will provide free pickleball lessons on the tennis courts at Copper Sky. 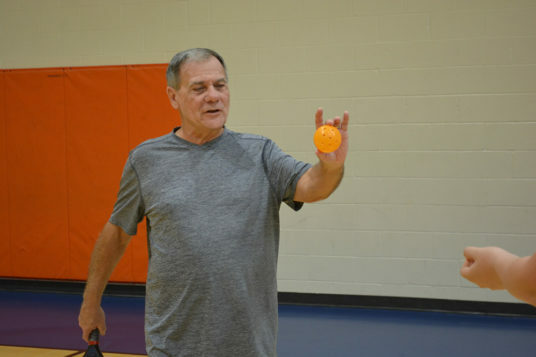 Sessions are planned for March 3, March 10 and March 17 from 10 a.m. to noon. Paddles and balls will be provided. 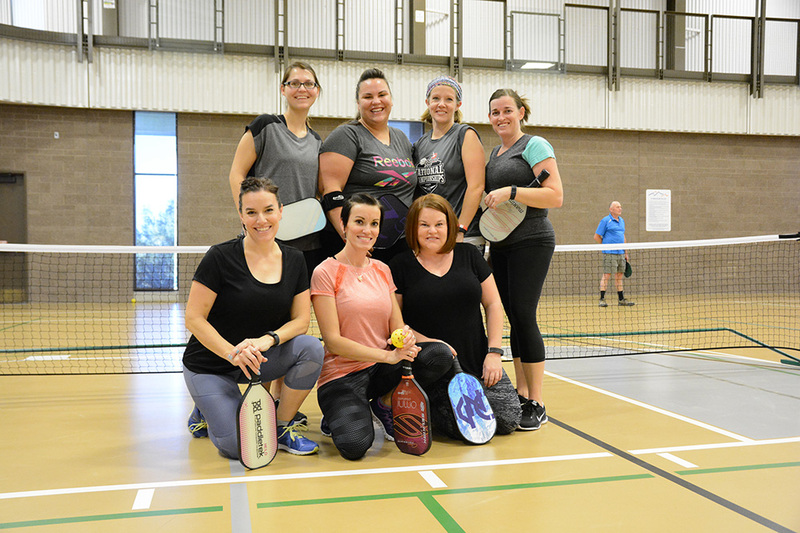 Women gather for pickleball competition at Copper Sky (from left): front – Karlee Palmer, Amber Durfee and Rebecca Bennett; back – Valerie Silvers, Jessica Attkisson, Kim Hodges and Allison Atwood.